What Is RV Trailer Skirting & How Does It Help Your RV? RV skirting is gaining popularity and may seem like a new idea but skirting has been around for many years. Think about trailers in mobile home parks and your mind says, “Oh, yeah, I remember that!” So, the idea of blocking cold air and wind from underneath trailers has been around for a while. Now it is trending in the RV industry as more and more people want to extend their camping season or simply be more comfortable and energy efficient. What Is RV Trailer Skirting? Traditionally, trailer skirting is a canvas wrap that covers the gap between the RV and the ground. If you have that mobile home park vision still in your head you may think aluminum or vinyl, maybe even a lattice skirting that kept out sneaky neighbor cats or nocturnal rodents. Stationary trailers, although officially “mobile” utilize much more structured skirting materials due to the fact that they stay put. However, with RVs mobility is key as campers travel as weekend warriors, cross country trekkers, or full-time RVers. Skirting that is flexible, convenient to apply and remove yet rugged enough to combat the elements is important. There are many types, sizes and qualities of RV skirting. Taking into consideration your needs and budget will help you determine which skirting is best for you. RV skirting helps prevent wear from wind and the weather. Heavy skirting can add stability to the base of your RV. Skirting allows you to safely store items under your RV while you camp. Some campgrounds require RV skirting for long-term campers. Skirting provides a neat, clean look and hides the “untidy” look of storage space under your camper. Skirting also protects your RV from hot summer heat, cold winter air and, since it is installed around the outside, it protects tires from UV damage. Finally, skirting also helps keep the undercarriage of your RV free of dirt and grime. A fact you’ll appreciate come spring cleaning time! RV skirting is a popular way to winterize RVs. There are many options for skirting to winterize, especially if this is the only time you plan to skirt your RV. You can check into plywood and foam insulation board as these can be much more cost effective and mobility isn’t necessary. Adding insulation to your RV can help with climate control. Avoid cheap DIY suggestions of using hay bales to winterize and insulate your RV. A cheap alternative can save dollars up front, but when rodents find a cozy spot to nest for the winter, you won’t be so happy you saved a few bucks. Not to mention the fire hazard of all that combustible material. Again, sometimes it’s great to find cheap or free alternatives, but all those dollars you saved will go up in smoke in an RV fire. Winterizing your RV is one of the keys to keeping it in good condition over the years. Treat your RV like you would your home – it is your home-away-from-home for many months out of the year! Read more tips on RV winterizing here. Channel skirting is convenient to attach and remove. A channel is installed that allows the RV skirt to slide into place. This is the best system for airtight seals. Snap attachments and buttons are easy to work with but not as effective when it comes to creating an airtight seal. As the name implies, it uses snaps and/or buttons to attach the skirt to your RV. Installation is easier with snap attachments than with a channel system. If you are looking for a temporary solution, suction cups may be for you. No permanent attachment or holes are needed to be drilled in the RV exterior to utilize suction cups. It is a simple solution to attach a skirt via suction cup method. However, it is not very secure and can leave gaps. This could be a skirting option if you are not in an area where you encounter extreme cold as this could cause the suction cups to shrink and detach. There are some things to keep in mind with trailer skirting that may seem obvious but are worth stating. Don’t move your RV with the skirting on. It may seem like a hassle to remove the skirting if you need to move your RV, but don’t risk damaging the skirting. It will render it less effective (not to mention how it will look) and will be costly to repair or replace. It’s worth the extra time to remove it first. Remember that air can sneak in under the gaps so be sure to anchor the skirt to the ground. Several different methods are available including straps, chains, D-rings, PVC pipe and loops. Investigate the different options and weigh the pros and cons based on your needs. Insulated skirting will offer more protection, but can be bulkier to work with. 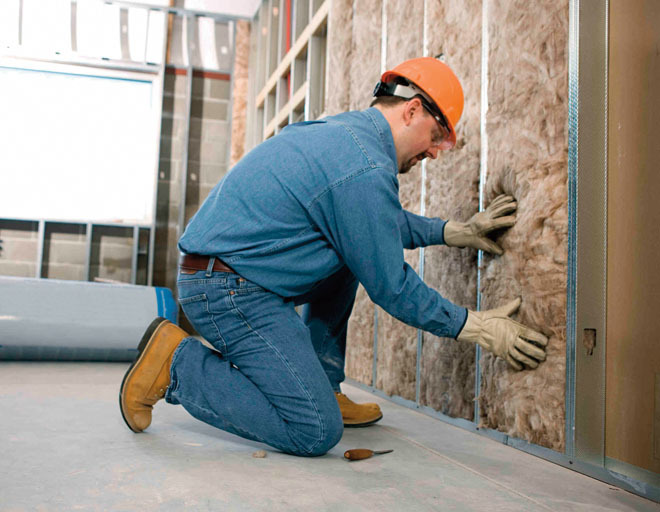 Some owners add insulation themselves with foam board, though this can also be time-consuming to set up and take down. It’s an ideal option for adding more protection during winter storage when your RV will be stationary for several months. There are many skirting choices and the options continue to grow as RV trailer skirting gains in popularity.